The best part of Christmas morning is waking up to discover what awesome stocking stuffers Santa has delivered! Santa, food lover that he is, knows that his gourmet stocking stuffers are often appreciated above all others.....and sometimes disappear before the other gifts are opened! 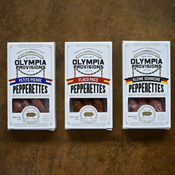 The Savory Pantry has put together a selection of unique stocking stuffers guaranteed to be enjoyed by any food loving family. Traditional bean-to-bark peppermint bark from Askinosie Chocolate makes the perfect gourmet stocking stuffer for adults and kids alike, as does the gingerbread dark chocolate bar, a seasonal sweet treat as unique as it is delicious. Beautifully presented dark chocolate truffles from London's Prestat and chocolate honey truffles from Catskill Provisions provide an excellent gourmet stocking stuffer for the chocolate lover. 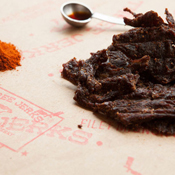 Savory foods make ideal stocking stuffers for adults, who will awaken to find their stockings stuffed with aged cheddar cheese straws in a festive holiday gift tin, or handcrafted salami and beef jerky - both unique gifts for food lovers. 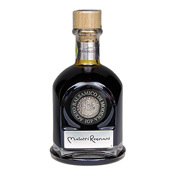 And gourmet stocking stuffers for the cook include a selection of artisan salts from Italy and exquisitely bottled balsamic vinegar. Mixers, syrups and bitters make unique stocking stuffers for the cocktail enthusiast, as do our carefully curated selection of bar tools. And, if you're undecided, a Savory Pantry gift card will be a welcome addition to any food lover's stocking! 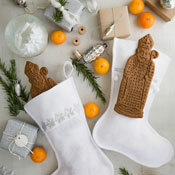 Of course there are many more food stocking stuffer possibilities! Browse our specialty food section to find an array of unique gifts for food lovers for stockings, specialty food baskets, and delicious gourmet holiday food gifts. You'll find something to please everyone on your holiday gift list!